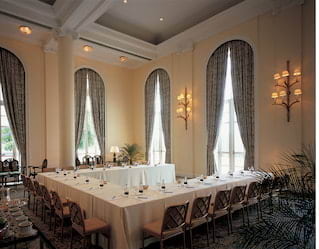 Of all the event venues in Brazil, Belmond Copacabana Palace is the shining star. Find out why when you work with us to plan your Rio wedding, special party or conference in one of our showstopping function rooms. Glitz and glamour abound, and our expert team of chefs and event planners will help add extra sparkle to your celebration. 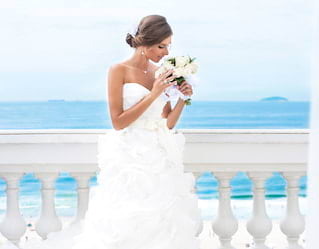 Favored by Rio’s elite, Belmond Copacabana Palace was made for show-stopping weddings. Whether you’re hosting an intimate party or a grand ball, we’ll design an event that’s as spectacular as it is unique. Create a buzz with seasonal gourmet menus. Pick out the perfect décor. Opt for live entertainment to make your reception sizzle. Whatever you choose, our talented team is with you every step of the way. 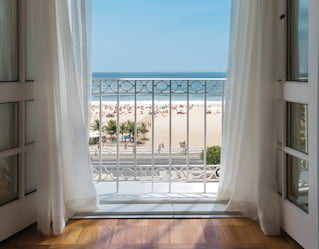 Superbly positioned overlooking the golden sands of Copacabana Beach, this Rio gem is where magical memories are made. Step out together for a private city tour to uncover often-missed highlights. Soak up the sun in the magnificent pool, or join Brazil’s style setters at the Piano Bar. At sundown, pick from a choice of top restaurants, offering everything from hearty local dishes to Italian fine dining. A candlelit table for two awaits. There are few venues more celebrated than historic Belmond Copacabana Palace. Whether searching for conference destinations or inspiring incentive locations, we bring luxury, exclusivity and style to your business event. Combining timeless grandeur with state-of-the-art facilities, on-site technical support and exceptional service, we take care of all the details.